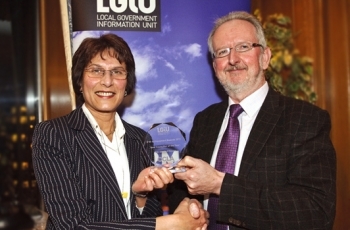 Sheila D'Souza had little idea that just after one year of taking part in Operation Black Vote’s Black Women’s Councillor shadowing scheme funded by the Government Equality Office, that she would not only be an elected representative but also chosen from the thousands of new elected representatives as ‘New Councillor of the Year’. The awards organised by the Local Government Information Unit recognises the achievements of local councillors across the country and the tireless efforts that they put into making their communities better. They were nominated by their local residents, fellow councillors and the winners were chosen by a panel of local government experts. Speaking about her success Sheila stated: "I am very grateful to OBV and inspirational people like Cllr Mimi Harker and Liz St Clair from Conservative Central Office for setting me off on this road. My fellow Councillors have been very generous with advice and encouragement. But a lot of credit for this award must go to the highly professional support I have received from Council officers."